For four years, Assistant County Prosecutor Josh Aspin served multiple positions inside the Ashland County Prosecutor’s Office, starting by prosecuting juvenile delinquencies and moving into daily felony court work. 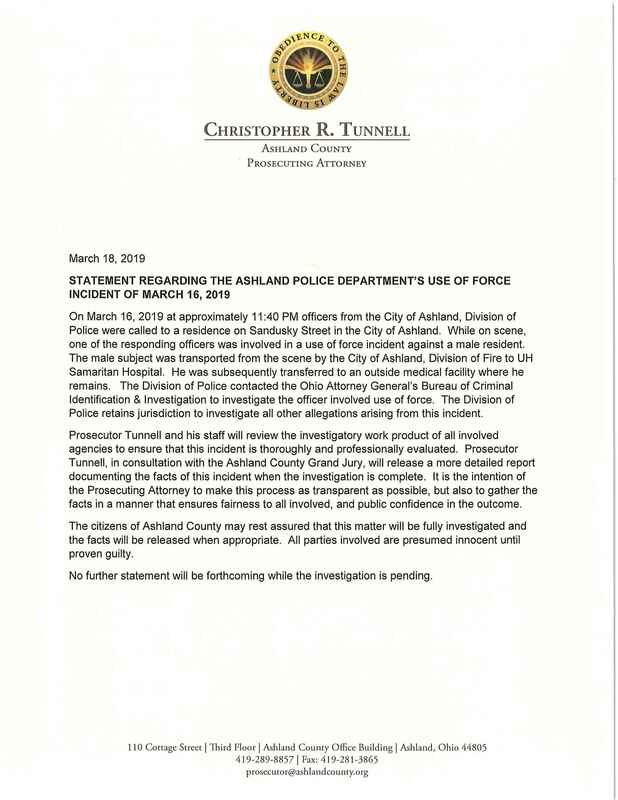 But, it wasn’t until 2018 that Aspin took over as assistant county prosecutor with the responsibility of representing children’s services and was nominated by Ashland County Prosecutor Christopher Tunnell as a meritorious assistant county prosecutor to the Ohio Prosecuting Attorney’s Association. 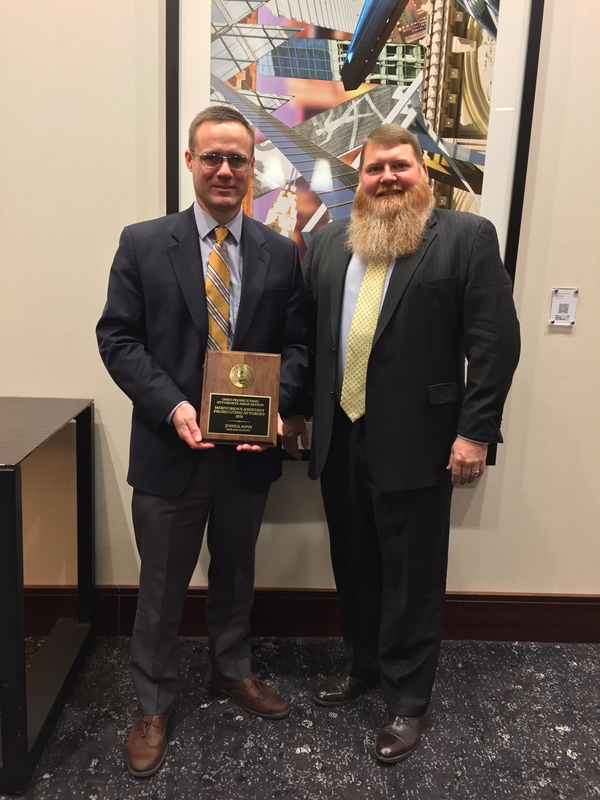 Aspin was recognized by the association as a meritorious assistant county prosecutor during the Ohio Prosecuting Attorney’s Association annual meeting held at the Hilton in Columbus last week. Aspin took his current position in the Ashland County Prosecutor’s Office when predecessor Peter Stefaniuk took the director’s job at Job and Family Services in April. Over that time, Aspin has now filed 60 complaints, 109 motions and 203 court appearances through Oct. 31, and is working 179 Children Services’s cases, on top of cases that may not have hit court but still involve legal assistance, Tunnell said in his nomination letter to the prosecuting attorney’s association. In an interview, Tunnell said he would not give just anyone the job, citing the high stress and at-times grueling work that comes from cases involving children being separated from their families. Aspin said he liked the work he is doing because he feels like he has an impact on the community and is motivated by his family, particularly his three children. “I like the sense of being able to help children and it really gives you a sense of purpose when you see the conditions that some of the children are in,” Aspin said. Aspin said the work done by his assistant, Angie Krebs, is also valuable to the prosecutor’s office, making his award a team effort. Tunnell didn’t tell Aspin he had been nominated for the award until the day before Thanksgiving and Aspin said he was thankful for the recognition.